We are a locally owned and operated Snow Removal Business right here in Green Bay founded in 2001. My father, Bill, started the company when I was 14 and I took the business over in 2014. We treat each customer like family and ensure your satisfaction with our Snow Removal Guarantee®. If you aren't completely satisfied by our Snow Removal Services we will refund your money in full. Please give us a call today to schedule a free estimate for your home or business. Or just call us when you need IMMEDIATE snow removal. We offer residential snow removal service during the winter months. We provide professional and responsive residential snow blowing, plowing and shoveling services to ensure your sidewalks, paths, driveways, and other important areas are free of snow and provide safe accessibility. Using our service for all your residential snow removal services saves you time, money, and the back-breaking work associated with snow clearing. Further, using us for snow removal also reduces the risk of injury to you and your family. We stay one step ahead of Old Man Winter by providing affordable snow removal services to Green Bay and all of Brown County. Don't let a snow storm stop you from safe and easy entry and exit from your home. We offer professional commercial snow removal services to businesses and universities. We ensure all parking lots, roadways, sidewalks, paths, and other important areas are clear of snow and ice. We maintain their accessibility for you and your customers all winter season long. Using us for all your commercial snow removal needs allows your business to operate non-interrupted and provides safe access to your employees and customers. Our snow plowing services eliminates your risk of damage and injury due to accidents and falls. We stay one step ahead of Old Man Winter to ensure your business can focus on its day-to-day operations while leaving the snow clearing to us. We service all of Green Bay, Appleton, and the greater Fox River Valley with top, professional snow removal services. Call us here in the shoulder season (July - Nov) for early season discounts on snow removal all season long. 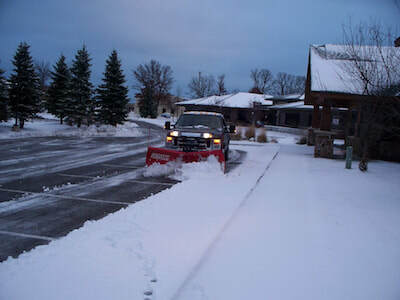 We service the smallest residential jobs to the largest commercial snow removal in Green Bay efforts. No work is too big or too small for the snow removal Green Bay trusts since 2001. Mark and his team did an excellent job last winter keeping our parking lot, walkways and patios free from ice and snow. We will be using him again this year. - Dr. Robert L.
We used Green Bay Tree at our home the last several years and have been very pleased. Mark is very professional and goes the extra mile in taking care of us. - Jenny W.
Excellent service and very affordable. Will definitely continue to us. - Mary T.